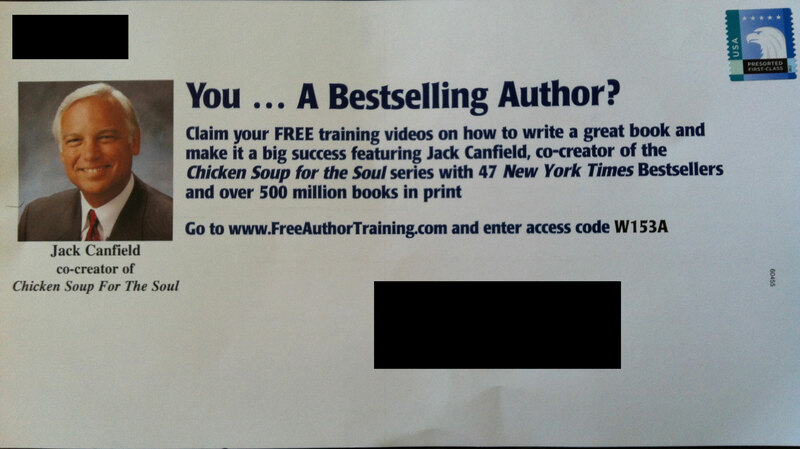 I was sorting my mail and was about to throw this out when the phrase, “You… A Bestselling Author?” caught my eye. The training is free so… act now. 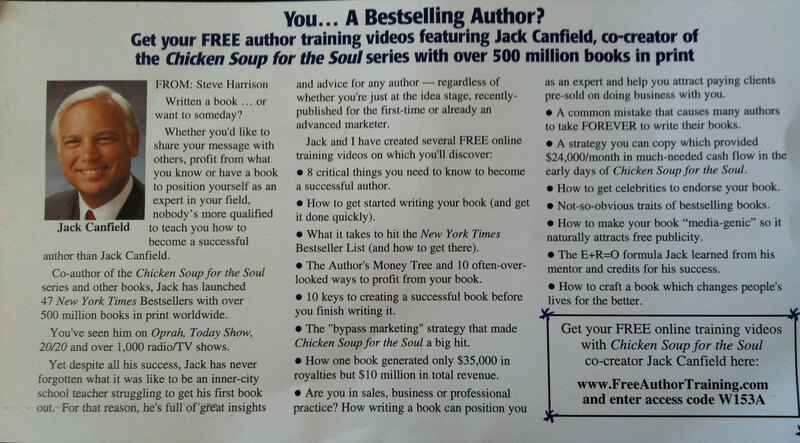 If you partake of the training and learn how to get on the New York Times bestseller list, do let us know!